Location: The Morningstar Clan! 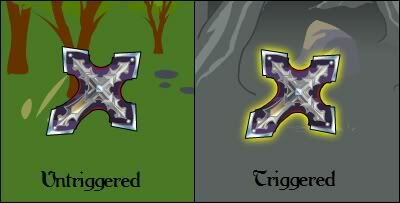 This weapon was also automatically given to players who had Morningstar Lionheart (previously known as Morningstar Crossbow) in their inventory on December 8, 2011. The special starts out as a standard bow attack (90% of an average armor attack), which is 454.4% Base and Random, 891.9% Stats, with +16 BTH. For not having an actual Special attack, it deals *1.02/0.9 damage. Since there are 2 hits, each hit deals 50% damage.